The Dmitri Matheny Group delivers a signature sound to the Baur’s line up. Lead by Flugelhorn player and composer Dmitry Matheny, who’s daring and wonderful presentation of classic jazz and his own compositions will entice and invigorate Jazz fans and music lovers who support the real music presented at Baur’s by your Music Appreciation Society. 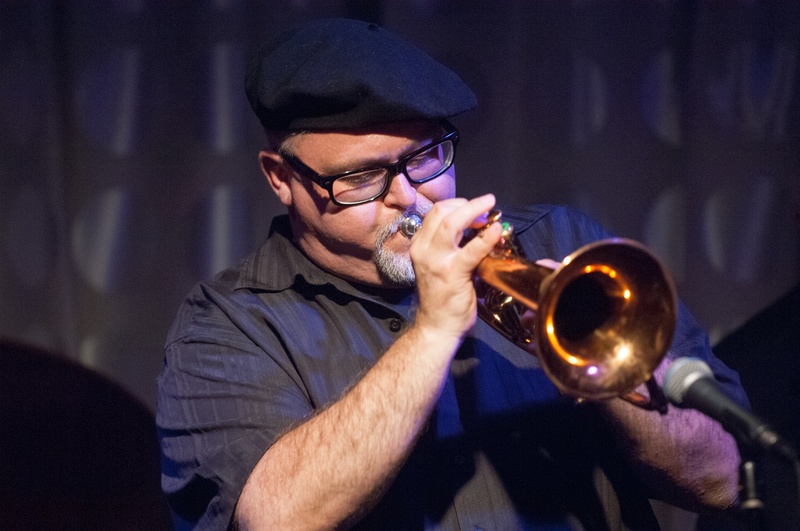 Director and composer/Flugelhornist Dmitri Matheny leads the Dmitri Matheny Group (DMG) into the well-known sounds of Jazz but creates a signature sound that has left an impression on the Jazz community ensuing an international following. Matheny, according to the International Review of Music, is “one of the most emotionally expressive improvisers of his generation” With 120 recordings to his credit, Dmitri Matheny has released 10 critically-acclaimed worldwide albums as a leader, and performs heavily at jazz festivals and is featured on Broadway in musical production, live, and as a recording artist. There the DMG played regularly in in the Bay Area and since, he continued to work in Jazz. Working while building the signature sound of DMG, he continued to provide a variety of administrative roles for the San Francisco Jazz Festival, and performed in Yoshi’s, Café Du Nord, and the Kuumbwa Jazz Center in Santa Cruz. Notable musicians Matheny has worked with are Frankie Avalon, Larry Coryell, Nathan Davis, Babian, The Temptations, Wycliffe Gordon, Tommy Flanagan, and many others. The DMG continues to play regularly in the US and Europe. Balancing fresh, original works with familiar jazz classics, hard bop, west coast cool and selections from the DMG’s 10 critically-acclaimed CDs, the wide-ranging sounds fuse to create a strong lyrical style and warm tone. Matheny began piano at the age off five, at nine he switched to trumpet, and at 12 years old, Matheny’s family moved to Tucson, Arizona from Columbus, Georgia. Shortly after, he joined the school band and at 16 started his first band. Later, Matheny was able to continue his studies thanks to the Tucson Jazz Society and his hard work. In 1983-84, he attended the Interlochen Arts Academy in Michigan and from 1984-89, he studied at the Berklee College of Music in Boston. Playing in numerous bands such as the New Voice Jazz Sextet, and the True Colors Big Band, even studying with New York brass teacher Carmine Caruso, Matheny went on to form the Dmitri Matheny Group in 1989 after his move to San Francisco. The DMG has gained a reputation for the daring and signature sound only DMG can provide since 1989. Flugelhornist Dmitri Matheny takes flight to bring the classic jazz pieces with fresh original pieces to Baur’s music lovers for a fun night at Baur’s with the Dmitri Matheny Group. Listen to SAGEBRUSH REBELLION, the new album by Dmitri Matheny below.